Inherited from parents. Unknown previous history. Thank you for submitting your item for appraisal. This appears to be a first quarter 19th century Violoncello by François Pillement, Mirecourt. 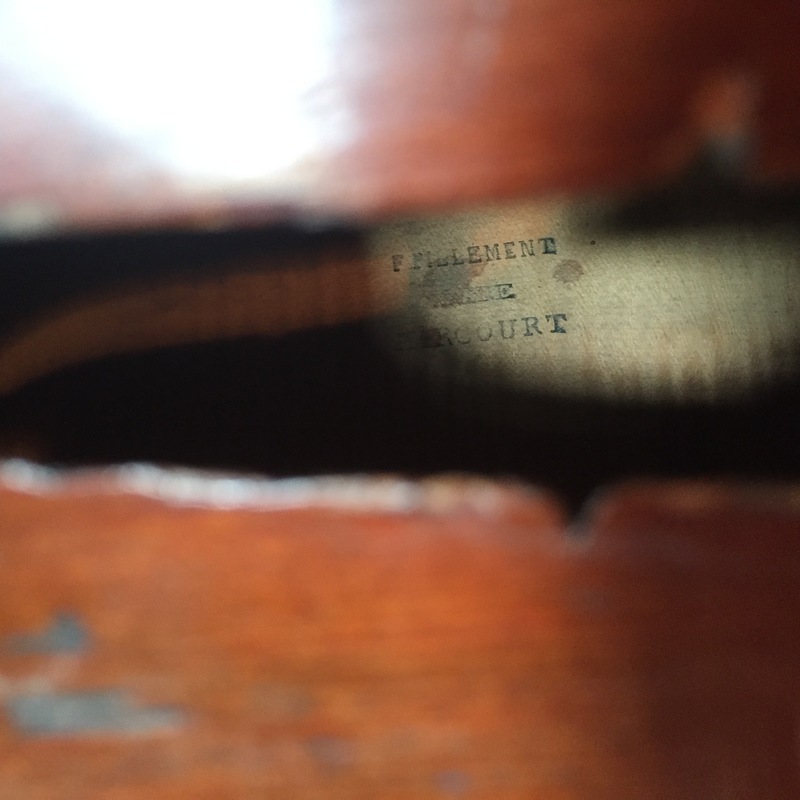 Branded internally "F. Pillement / Père Mirecourt". Very few instruments branded with this name were sold at auction. A bass recently sold for over 40000, a similar Cello sold for approximately 10000 many years ago. Depending on condition, authenticity of the branded name, previous restorations etc., I would see the current value within the price range listed. A hands on appraisal by an auction house specializing in selling musical instruments will be necessary.